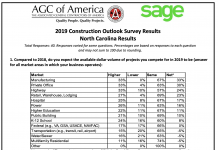 The value of new construction starts nation-wide in August decreased 9 percent from the previous month to a seasonally adjusted annual rate of $741.9 billion, according to Dodge Data & Analytics. The August downturn for total construction starts matched the 9 percent decline reported for July, as activity in the latest two months pulled back after the sharp increases in May (up 14%) and June (up 10%). By major sector, weaker activity was reported in August for nonresidential building, down 19%; and residential building, down 7%. On the plus side, nonbuilding construction in August advanced 6%, reflecting a steady performance by public works as well as improvement for electric utilities following depressed activity earlier this year. During the first eight months of 2018, total construction starts on an unadjusted basis were $540.0 billion, up 1% from a year ago. The year-to-date performance for total construction was restrained by a 45% drop for the electric utility/gas plant category. If the electric utility/gas plant category is excluded, total construction starts in this year’s first eight months would be up 4% compared to the same period of 2017. 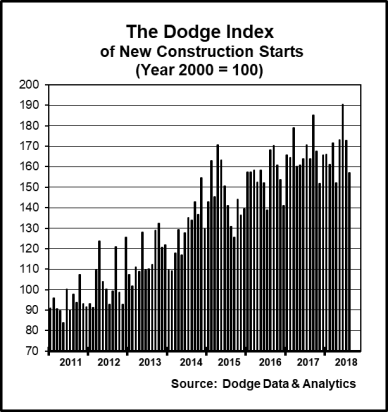 “The pace of construction starts weakened substantially in August, but remained within the range of activity witnessed so far in 2018, admittedly at the low end,” said Robert A. Murray, chief economist for Dodge Data & Analytics. “For nonresidential building, the boost coming from very large projects in August was not as strong as what took place in late spring, even with the August start of such projects as a $520 million office building in Sacramento CA and a $500 million hospital expansion in Cincinnati OH. 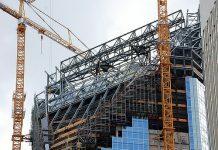 “Accordingly, it would be too early to say that nonresidential building has already peaked and is now retreating, given the volatility that arises in the monthly data from the presence or absence of very large projects. Market fundamentals affecting commercial building such as occupancies have yet to weaken discernibly, and funding for such institutional projects as school construction remains supportive. For residential building, multifamily housing appears to be easing back in a broad sense from the strength shown earlier in 2018, and a similar pattern could be emerging for single family housing. Nonresidential building in August fell 19% to $255.2 billion (annual rate), which followed a 22% decline in July from an unsustainably high June amount. June had been boosted by such projects as a $6.5 billion uranium processing facility in Oak Ridge TN and the $1.8 billion Spiral office tower in the Hudson Yards district of New York NY, while July included the start of a $2.4 billion petrochemical plant in the Houston TX area and a $750 million Facebook data center in Huntsville AL. By contrast, the largest nonresidential building project entered as an August start was the $520 million California state government office building in Sacramento CA that will house staff from the California Natural Resources Agency, among other state departments. If nonresidential building projects valued at $750 million or more are excluded, nonresidential building would have been down a more moderate 5% in August, following “no change” in July. The commercial categories as a group dropped 23% in August. Office construction retreated 17%, pulling back from July that included the $750 million Facebook data center in Huntsville AL as well as a $600 million Google data center in Stevenson AL. There were still several noteworthy office projects that reached groundbreaking in August, including the $520 million California state government office building in Sacramento CA, plus a $260 million Facebook data center in Los Lunas NM, a $120 million Iron Mountain data storage center in Phoenix AZ, and the $111 million office portion of a $150 million mixed-use research building in Cambridge MA. Hotel construction in August fell 39% relative to a strong July that included the start of the $450 million Omni Seaport Hotel in Boston MA. The largest hotel projects that reached groundbreaking in August were a $110 million Homewood Suites hotel in Boston MA and a $69 million Marriott AC hotel in Ft. Worth TX. The other commercial categories also weakened in August, with stores and shopping centers down 15%, warehouses down 22%, and commercial garages down 26%. 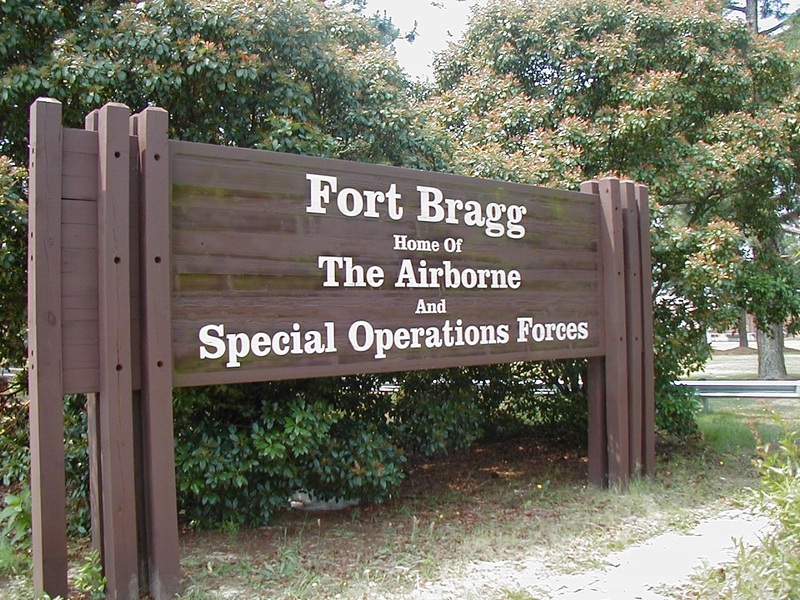 The warehouse category received some support in August from the start of a $100 million Amazon distribution center in Kernersville NC. Manufacturing plant construction in August plunged 53% from July that included the start of the $2.4 billion petrochemical plant in Channelview TX. The largest manufacturing plant projects entered as August starts were a $180 million paper factory in Inola OK and a $175 million ethane cracker plant in Carlyss LA. Cincinnati OH as well as the $126 million St. Joseph’s Hospital inpatient tower in Tampa FL. Amusement-related construction increased 11% in August, and educational facilities (the largest nonresidential building category by dollar amount) improved 3%. Noteworthy educational facility projects that reached groundbreaking in August were a $412 million laboratory and research center at St. Jude Children’s Research Hospital in Memphis TN, a $128 million science building at the University of California Irvine, plus large high school buildings in Sherman TX ($123 million), Aldie VA ($110 million), and Midvale UT ($98 million). Residential building in August was $307.0 billion (annual rate), down 7%. Multifamily housing dropped 8% after holding steady in July, and the August amount was down 16% from the elevated pace reported during the first quarter of this year. There were eight multifamily projects with a construction start cost of $100 million or more that reached groundbreaking in August, about the same as the seven such projects reported for July. The large multifamily projects in August were led by the $363 million multifamily portion of a $411 million mixed-use development in Los Angeles CA, a $232 million apartment tower in Dallas TX, and a $165 million apartment complex in Frisco TX. The top five metropolitan areas ranked by the dollar amount of multifamily starts in August were – New York NY, Dallas-Ft. Worth TX, Los Angeles CA, Boston MA, and San Francisco CA. Metropolitan areas ranked 6 through 10 were – Atlanta GA, Washington DC, Chicago IL, Houston TX, and Minneapolis-St. Paul MN. Single family housing in August receded 7%, slipping from the extended plateau that was present from late 2017 through July of this year, with month-to-month changes of 3% or less. By geography, single family housing showed August declines in four of the five major regions, with the West down 11%, the South Central down 8%, the South Atlantic down 6%, and the Midwest down 3%. Only the Northeast was able to post an August gain for single family housing, rising 2%. Nonbuilding construction in August rose 6% to $179.7 billion (annual rate). The upward push came from improvement for the electric utility/gas plant category, which jumped 44% after a 4% decline in July. Large electric utility projects that were entered as August construction starts were a $1.3 billion natural gas-fired power plant in Ohio, a $240 million wind power project in Nebraska, and a $104 million solar power plant in Florida. The public works categories as a group held steady in August with July’s pace. The miscellaneous public works category, which includes such diverse project types as pipelines and rail transit, jumped 74% in August. The $1.3 billion Elk Creek natural gas pipeline was entered as an August construction start and will transport natural gas liquids from Montana through Wyoming and Colorado to Kansas. During the first eight months of 2018, the dollar amount of pipeline constructions starts was down just 11% from the robust volume reported during the same period a year ago. The miscellaneous public works category in August was also lifted by the start of a $410 million segment (section 3) of the Purple Line Extension rail transit project in Los Angeles CA. The first eight months of 2018 showed the dollar amount of rail transit projects matching last year’s corresponding volume. The remaining public works categories revealed diminished activity in August compared to July. Highway and bridge construction slipped 4% after posting a 7% July gain, although the latest month did include the start of the $370 million I-635 interchange improvement project in Grapevine TX and a $248 million highway reconstruction project in the Providence RI area. The top five states ranked by the dollar amount of highway and bridge construction starts for August were – Texas, Florida, Illinois, New York, and North Carolina. The environmental public works categories registered a reduced dollar amount of construction starts in August, with sewer construction down 30%, river/harbor development down 37%, and water supply construction down 38%.